The Democratic dirty laundry they aired showed that Debbie Wasserman Schultz, chair of the DNC, favored Hillary Clinton over Bernie Sanders. In the ensuing flap, Wasserman Schultz resigned and the public was left with the message that the DNC was both untrustworthy and in disarray — and indeed, following the chair’s departure, the disarray couldn’t have been more real. When other emails were released in which Podesta and various colleagues second-guessed Mrs. Clinton’s decisions, the message that lingered in the public mind was that even her closest associates had doubts about her, never mind that candid, water-cooler criticism is normal in any undertaking. The Russians did more than merely steal computer information. They also planted false news stories, both with state sanction (according to the national intelligence report), and without it. 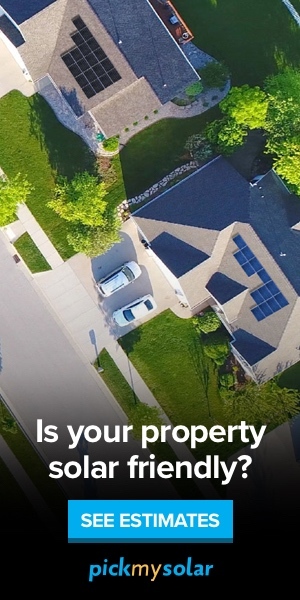 One of the upshots of the faux-news business is that, amid intense click-bait competition for advertisers, only sites and articles pandering to the far right make money. Disseminating made-up stories favorable to Hillary Clinton or Bernie Sanders returned nothing to the bottom line of the freelance hackers operating in what has become one of the Russian-speaking world’s newest cottage industries. Evidently a suspension of critical thinking — or its complete absence — is easier to exploit among those disposed to hate liberals and love Trump. Russian faux-news stories, purloined emails, and “exfiltrated” documents dogged the Democratic campaign. They were like gnats that packed a painful bite, buzzing continually wherever Clinton went. They distracted the media and the public from Trump’s much more substantial sins and reinforced the memes that he and his proxies chanted at every opportunity. They built toward a death by a thousand cuts. That was the background. Then, into the foreground stepped FBI Director James Comey. On October 28th, only 11 days before Election Day, with early voting already underway in many states, Comey delivered a letter to Congressional leaders stating that, “in connection with an unrelated case, the FBI has learned of the existence of emails that appear to be pertinent to the investigation” of Hillary Clinton’s private email server. They were, devastatingly enough, on a computer that scandal-ridden former Congressman Anthony Weiner had shared with his wife and Clinton aide Huma Abedin. At the time, Comey did not have a warrant to inspect those emails or any idea what the emails specifically contained. He released his letter in violation of longstanding Justice Department procedures and contrary to direct advice from Attorney General Loretta Lynch. Motives aside, Comey’s letter detonated across the late-stage election landscape. Predictably the media went into overdrive, as did Trump. With his usual bombast he proclaimed that “this is bigger than Watergate,” and the spinning went on from there. Clinton’s polling numbers nosedived. On November 5th, Comey issued a follow-up letter in which he conceded that, um, well, the trove of emails added absolutely nothing new to the previously dormant investigation. This 11th hour admission did little to mend the damage already inflicted on Clinton and may, in fact, only have deepened the injury by keeping the item in the news and underscoring the suspicions many voters felt toward her. Nate Silver, at FiveThirtyEight, suggested that the flap may have cost Clinton a three-point swing among the electorate and calculated that, after the Comey bombshell hit, the probability of her winning the presidency plunged by 16%. He also suggested that Comey’s letter may have influenced down-ballot races, especially in the all-important struggle for control of the Senate. Bloomberg reported even more dramatic numbers, finding that Clinton’s 12-point lead eroded to a single percentage point, making the race essentially a dead heat. Digging deeply into the “Comey Effect,” Sean McElwee and his colleagues at Vox found that it correlated with sharp downturns for Clinton in both national and state polling, probably accounting for a surge toward Trump that was particularly pronounced among “late-deciders” — people who made up their minds only when they were at the brink of going to the polls. Moreover, the surge was likely shaped by an astonishing “peak” in the negative news coverage of Clinton, centering on her emails. In the last week of the campaign, 37% of all coverage of Clinton was “scandal”-related, far higher than had been the case for months. As things turned out, Trump’s victory in the Electoral College was determined by fewer than a combined 100,000 votes in the swing states of Pennsylvania, Michigan, and Wisconsin. You can massage the numbers many different ways, but if Comey’s letter accounted for only 2% of Trump’s votes in those states, then without the letter Clinton would have won all three of them — and the presidency. The crosschecking frequently matched only first and last names, ignoring middle names and suffixes like junior or senior. As a result, common surnames — Jones, Washington, Garcia, and the like — generated huge numbers of matches. The intent of the program was to prevent double voting, a form of voter fraud that the right has frequently decried as widespread, but for which no one has found substantial evidence. (As the New York Times reported in the wake of election 2016, no significant evidence of voter fraud of any sort was found.) This fake issue has, however, been used as a smokescreen for implementing voting restrictions that inhibit poor people, students, and minorities, who usually vote Democratic, from exercising their franchise. In the November election, voter turnout in Wisconsin, which Trump won by 22,748 votes, was the lowest in 20 years. It fell 13% in Milwaukee, where most of the state’s black voters live. Part of the problem was undoubtedly the unpopularity of the major candidates, but voter suppression seems to have played a significant role, too. As Ari Berman of the Nation points out, the active discouragement of poor and minority citizens from voting — not just in Wisconsin, but in Virginia, North Carolina, and many other states — was undoubtedly the most underreported story of 2016. 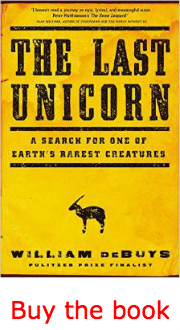 William deBuys’s most recent book, The Last Unicorn: A Search for One of Earth’s Rarest Creatures, was listed by the Christian Science Monitor among the 10 best nonfiction books of 2015. He is a TomDispatch regular.